Finally a helmet specifically for ski mountaineering: VERT by SALEWA closes the gap between the classic climbing helmet and the stylish ski helmet without compromising on safety. Heat dissipating padding and removable ear pads along with a clever ventilation system provide maximum comfort during ascent, including climbing passages, as well as on descent. A clear view promises complete goggle integration that supports the anti-fog system of modern ski goggles. The low line specifically protects the wearer's temples and the back of the head both in the case of rockfalls as well as tumbles. 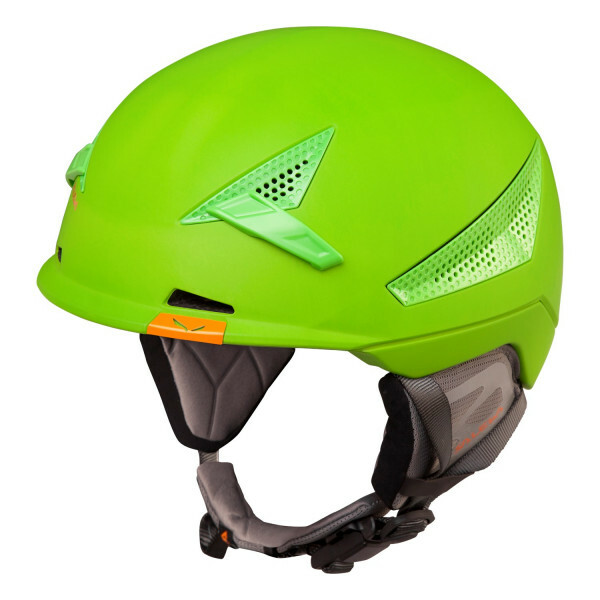 The particularly lightweight and innovative helmet is double certified: For skiing and climbing.